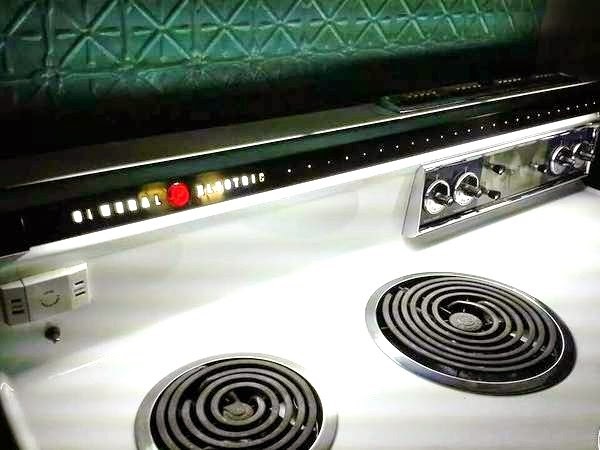 Isn't that a great mid century kitchen. 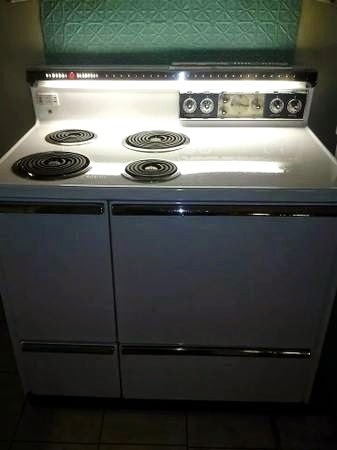 With its original appliances from the General Electric GE 1955 stainless steel appliance collection. With a harvest gold refrigerator. 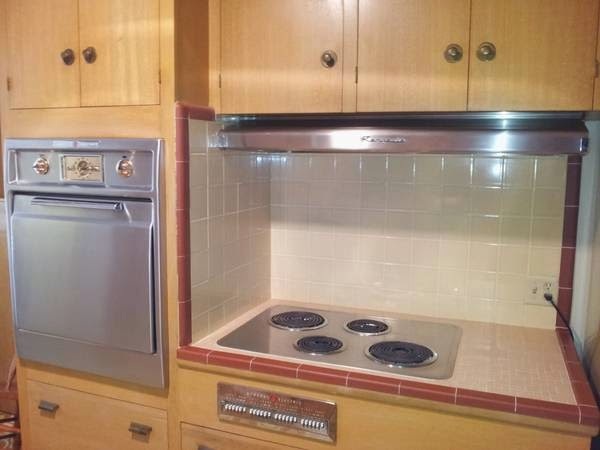 I like how this kitchen is done with browns and stainless steel... yet it still looks like a kitchen. Not some weirdo kitchen... hid in a living room. A lovely old kitchen packed full of custom cabinets. 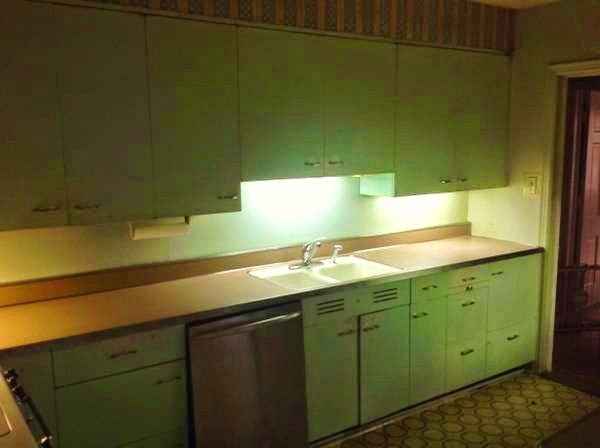 Anywho.... this lovely vintage kitchen is to be shorty torn out and replace with a updated kitchen. But the home owner is attempting to find a new owner for all this vintage goodness. Thankfully it has listed it on Craiglist's... instead of having it end up in land fill. Next up... some turquoise love! 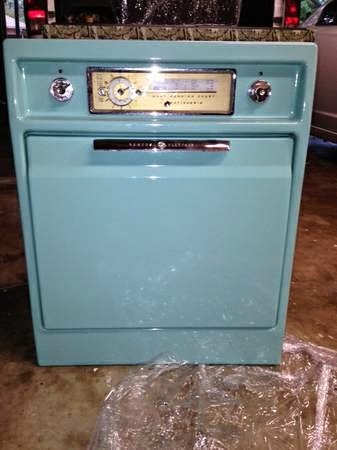 There are a few really good vintage kitchen appliances made by General Electric - GE this weekend. These are amazing! 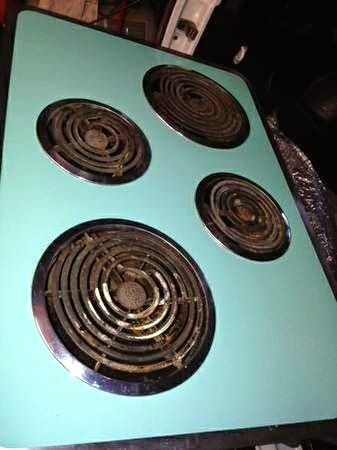 The turquoise range and oven set from General Electric. I bet they were part of an amazing kitchen... that is now long gone. This one looks so good. Either it was rarely used... or the previous owner was an amazing cleaner. And at $250 it is a great buy! 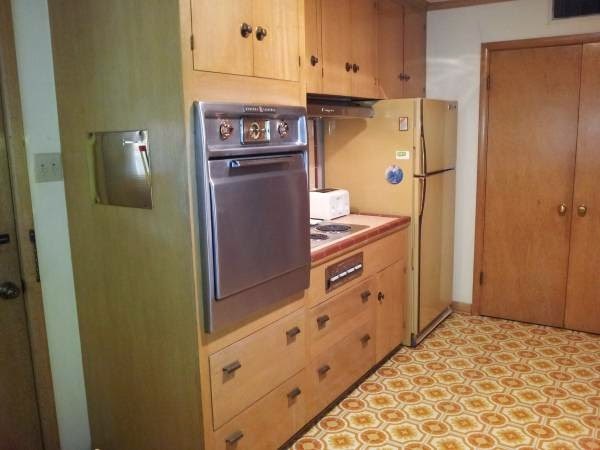 Finally, I came across this listing for a set of St. Charles kitchen cabinets. In pale green. 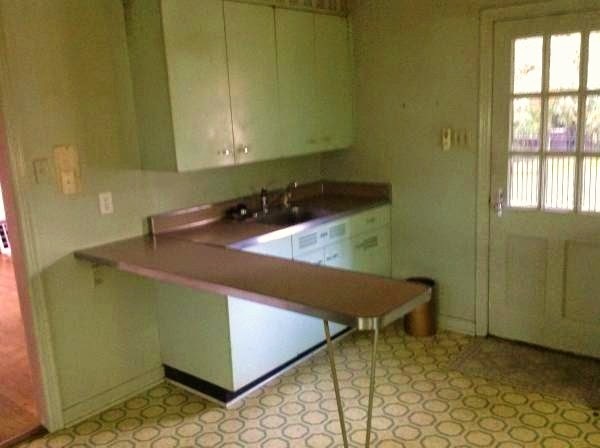 I don't know if this is one kitchen with two sinks. Or two different kitchens. I wish the pictures were a little clearer. I love that breakfast bar with the hairpin leg. The counter tops... that are the same height as the kitchen cabinets... come in so handy as extra work space.